Our talented France and Associates team are here to help our clients get the most from the planning, design, architecture and building process. France and Associates are Huddersfield's dynamic architectural practice, serving clients to plan and build exceptional properties throughout the North of England and beyond. Jonathan France Dip MCIAT AssocRICS is a Chartered Architectural Technologist and the Director of France and Associates. With valuable background in the medical profession and on running a busy practice, Rachel is skilled in the smooth, efficient and effective management of France and Associates, our team and accounts. Rachel is a regular at her local Pilates class, which she is sure keeps her fit and healthy! We are excited to have Karen as a new member of our team. Karen has a wealth of specialist knowledge in planning, design and architectural practice. These key skills complement our expanding team at France and Associates and will help deliver the highest standard of service to our customers. Amy is our latest member of staff. Amy brings with her a wealth of knowledge, experience and expertise that helps France and Associates to provide a broader range of services to our clients. Paul studied both Architecture and Architectural Technology at Huddersfield University before joining France and Associates. He has experience in the residential and care sectors having worked on projects across the UK. Paul's strength lies in his knowledge of the latest CAD software and a refined ability to transform highly complex technical drawings into 3D design presentations that help illustrate to clients, planners, partners and community members how a built structure will look when it is completed. Work of this nature is essential when working with clients with additional needs. Paul enjoys the friendly relaxed atmosphere of working at France and Associates. When not working Paul enjoys taekwondo and motorcycling. Sharon has over 14 years’ experience managing the office of a Chartered Surveyor in Bradford who specialised in Expert Witness work, specifically expert accommodation reports and project managing the adaptation of properties for disabled adults and children. Sharon has brought her experience and knowledge with her to France + Associates which benefits the running of the office. In her free time Sharon enjoys music and going to gigs and festivals. Energetic, highly organised and with a meticulous eye for detail, Victoria is a great asset to the company. As a France and Associates client, you're likely to get to know Victoria as she plays a key role in arranging utilities, property searches and other key services in the construction process. Victoria's burning ambition is to complete the refurbishment of her retro VW van! 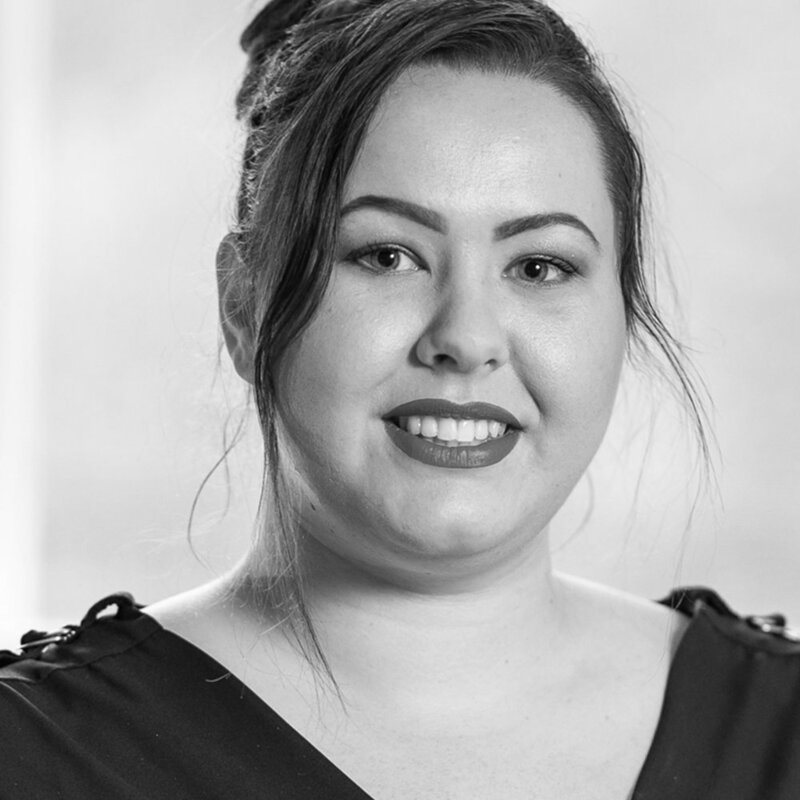 As well as being instrumental in helping the practice achieve and maintain compliance regulation excellence, Becky also looks after our marketing aspects and helps sustain our business growth. Becky is a big fan of the Huddersfield Giants and her infectious sense of fun and positivity make her a great asset to the team. John has many years graphic design and branding experience working with a diverse range of companies. Serving a wide variety of commercial, public sector, arts and business clients. John enjoys the challenge and diversity of each project regardless of whether it is a commercial or not for profit design exercise. John has extensive experience as a graphic designer and branding professional. Educated to degree level in Graphic Design at Nottingham University before working for a variety of design agencies: He worked for 9 years as the resident Graphic Designer and Digital Manager at the West Yorkshire Playhouse before leaving to become Senior Designer and Project Manager at a prominent design agency in Huddersfield. John took the bold and positive decision to start his own business in July 2012. John has since enjoyed working on branding and design projects for small, medium and large sized companies, both new and established. John Polley Brand Communications works with brand new enterprises like Companio Bakery based in Ancoats, Manchester, Textile designer Anna-Lisa Smith in Marsden and more recently a new optician’s practice called Allegro Optical with it’s head office in Leeds. He has worked on packaging designs for a drinks company called Fruity Tipples and for a novelty children’s gift range of products. John uses his skills and expertise to help to guide France and Associates in their marketing and publicity. He enjoys working with the lively and enthusiastic team that make up France and Associates and looks forward to building on their success over the forthcoming years. You can see some of John's other work at www.johnpolley.co.uk. Barry has worked in the architectural industry for over 19 years and brings with him expertise on wide ranging experience. Barry has worked alongside Jonathan for the past 4 years, and has been heavily involved in present projects with France and Associates, of large scale adaptations for disabled people. Barry’s past projects include large housing developments for blue chip clients, the conversion and extension to Fonab Castle Hotel, and involvement on award nominated projects for mixed use sites. Barry has a background in Architectural Technology and is a member of the Chartered Institute of Architectural Technologists, bringing with him excellent technical experience and award winning design skills. Barry has a young family but where possible, enjoys drinking fine wines and real ale (more sophisticated!) and watching his beloved football team, Carlisle United. Has worked for major Practices in Scotland on a variety of large and varied projects for prestigious Clients. He has developed a variety of skills in the application of three dimensional Computer Aided Design to architecture and has lectured and given technical software support on the subject to various Universities and Colleges. Bill is a ‘seasoned’ woodturner and woodworker in his spare time, enjoying being creative with wood by making pens, bowls, wooden ornaments, toys and puzzles.